Spero-Smith Investment Advisers Inc is an independent, fee-only investment advisors based in Cleveland, Ohio. The company specializes in asset management, investment guidance, wealth management, among other financial services. The company offers such services to high net-worth individuals, foundations, families, and endowments. The firm submitted its third quarter SEC 13F Filings on November 4, 2014, for the quarter ended September 30, 2014. The filings reveal that its top three holdings are Exxon Mobil Corporation (NYSE:XOM), Fiserv Inc (NASDAQ:FISV), and Danaher Corporation (NYSE:DHR). 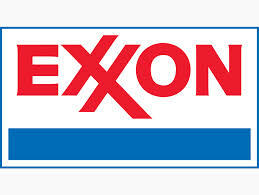 Exxon Mobil Corporation (NYSE:XOM) was the topmost investment of the firm with an investment value of $13.63 million. Exxon Mobil is an American multinational energy company dealing in oil, gas, electric power generation, among other disciplines. The company is based in Irving, Texas. It’s among Forbes most valuable brands and it has several subsidiaries through which it operates in different parts of the globe. The company’s Q3 earnings per share beat expectations, registering $1.89, compared to $1.71 by Wall Street. Fiserv Inc (NASDAQ:FISV) emerged as the second highest investment of Spero-Smith Investment Advisers Inc with an investment of a total value of $3.13 million. Fiserv Inc is a financial services technology provider, offering its services to banks, investment managers, credit unions, among other institutions. The company has several subsidiaries, namely XP Systems Corp, Corrillian, Carreker, Information Technology Inc, and more. The company’s third quarter revenue was $1.26 billion, beating the 2013 third quarter that stood at $1.20. The company has also registered a total of 5% increase in revenue for the first 9 months of 2014 compared to the same period last year. Danaher Corporation (NYSE:DHR) was the third largest investment of Spero-Smith Investment Advisers Inc, registering investment value of $3.11 million. This company is a designer, manufacturer, and marketer of professional commercial, industrial, and medical products. It focuses on helping company’s leverage their full potential through new technologies. The company’s topmost shareholders are T. Rowe Price Associates, Inc. (9.67%), Fidelity Management & Research Co. (6.74%), and Mitchell P. Rales (6.55%).